Vancouver is not short on options for luxury hotels in the City of Vancouver, especially in downtown Vancouver however you can only choose one of many phenomenal options so which one should you pick? We hope to give you a unique and comprehensive perspective on the Best Luxury Hotels in Downtown Vancouver. We’ll also share a summary of other luxury hotels in Downtown Vancouver worth considering. Further, while Vancouver is within driving distance to many other hotels in Metro Vancouver, most of the luxury hotels and 5* hotel franchises are located within the City of Vancouver with the overwhelming proportion of them being right in downtown Vancouver – for good reason, convenience & market accessibility. We’ve taken a comprehensive look to finding the best luxury hotels in downtown Vancouver (and for the better part, Vancouver) for you to experience. Please give it a read and feel free to comment bellow if you have any questions! Best Luxury Hotels in Metro Vancouver? There are also a few other luxury hotels in Metro Vancouver including Richmond, BC (Fairmont Hotel YVR) and Burnaby, BC (Elements by Westin Burnaby) and questionably Surrey should you prefer booking a luxury hotel nearer to those respective cities if you need to be in those cities. There aren’t enough luxury hotels in Metro Vancouver to write a separate article for each city in Metro Vancouver so just a brief mention here, feel free to ask in the comments bellow or using the Contact Us form (customized non-sponsored replies from a local within 48 hours – we love Vancouver & helping visitors/travelers to Vancouver.) if you have any questions about luxury hotels in Metro Vancouver cities like Burnaby, Coquitlam, New Westminster, North Vancouver, or Surrey. However, if you’re looking to book a luxury hotel in Vancouver, your best bet is downtown Vancouver. A car ride to any of these Metro Vancouver cities are within an hour – unfortunately take note that Vancouver does not yet have Uber or Lyft due to politicians helping taxi lobbyists who paid them $60,000. The business community & locals collectively are asking repeatedly for Uber & Lyft to deaf ears of the BC NDP. [5 Star] Fairmont Hotel YVR in Richmond, BC: The Fairmont Hotel YVR is a five star property right within Vancouver International Airport. It provides significant convenience for travelers looking for respite right after their flight without travelling further to their hotel. The rooms are sound proof and the furnishing is on par with 5* hotels. An excellent hotel restaurant, Globe, serves a scrumptious breakfast buffet, exquisite tea time, and good a-la-carte menu for dinner. There’s also a relaxing and spacious lounge/bar along with a spa by “absolute Spa”. Standard fitness facility. Good service (there can be better.) This is an excellent luxury hotel in Metro Vancouver if you’re arriving from YVR and would prefer a hotel within Vancouver International Airport. [Unrated] Seaside Hotel in North Vancouver (North Shore): A newly open hotel for late 2018 which is likely to be a 4 or 5 star hotel by the waterfront in North Vancouver – right across from downtown Vancouver. It’ll likely provide a relaxing and luxurious experience as the atmosphere in North Vancouver’s North Shore is a lot less rushed than downtown Vancouver. (From the architecture to the people, the Lonsdale market, and the boat homes, North Vancouver boasts a resort-like, chalet feel.) This will be a hotel worth looking at for it’s newness, views, and expected luxury. We’ve stayed at most YVR hotels (period of time being out of town mostly) and would like to share our honest input on which are the BEST Vancouver airport hotels. The content is not sponsored to minimize bias in search of truly providing helpful/useful information for those requiring a hotel near Vancouver Airport. Give it a read if you’re visiting Vancouver or looking for a Vancouver airport hotel. If you’re reading this, you’re likely planning a trip to Vancouver, BC or transiting through Vancouver International Airport and you’re looking for a comfortable, convenient, and consistent Vancouver airport hotel. In the paragraphs bellow you’ll find five of the best Vancouver airport hotels, knowledge you’d like to have about these airport hotels along with a few helpful details about Vancouver, BC on the tail end. In writing this article, I’m going to make a few assumptions; you’re not looking to accrue loyalty program nights at a popular franchise hotel else you’d book directly through their website – since the benefit to franchise hotels is the expected consistency and loyalty/status nights can only be accrued through direct bookings. Therefore, I’m going to make the assumption that you’re not looking intently for a popular branded hotel (like Hilton – Hilton Honors, Sheraton – SPG, or Radisson – Radisson Rewards) to add to your status nights. Accordingly, I’m also going to venture a guess that you’re paying your own Vancouver Airport hotel accommodation (whether as a family vacation, solo travel, couple, or personal business travels) and not on corporate travel. First off, here’s a quick tip to get you a better deal on your Vancouver airport hotel. Go to Priceline.com or Expedia.com and look for the “Express Deals” on Priceline or the “Secret hotels” on Expedia. You will be surprise at the deals you can find on Vancouver airport hotels on these sites. I’ve booked a 2.5 star Accent Inn hotel for $70 CAD rather than the listed $150+ per night. I’ve booked the 3 star Holiday Inn Vancouver Airport hotel for $63 rather than the $122 listed price. I’ve also gotten the three star four points by Sheraton for $79 rather than $150. Sandman Vancouver airport hotel occasionally appears for $63 rather than $120. Use this as a reference of which hotel to meet your needs. #3 is for value and budget – my personal favourite too. You can’t get any nearer to Vancouver International Airport than the Fairmont Vancouver Airport Hotel. This luxurious four star hotel is located right inside YVR. If you’re looking for convenience and luxury without concern to your wallet then the four star Fairmont YVR hotel is your best Vancouver airport hotel option. It’s been voted as the #1 airport hotel in North America; how’s that for accomplishments and validation? The Vancouver airport hotel is elegantly designed with plenty of glass floor to ceiling windows should you choose to have a room viewing the YVR runway for some plane spotting. The Vancouver airport hotel is sound proofed with amenities that includes a spa, pool, health club, and an award winning restaurant (Globe @ YVR). The Fairmont Vancouver Airport Hotel also features the Jetside Bar serving tapas, cocktails, and music. The hotel access is by the trans-border check-in counters at YVR. As you would expect with any Fairmont hotel, you’ll be pampered with incredible service – the perfect way to refresh after a long flight or start your travels right. The location within Vancouver International Airport makes it a quick access to your room after your flight; you don’t need to worry about lugging your luggage about. Being located in Vancouver International Airport also means you can effortlessly walk to various 24/7 dining options like the classically Canadian, Tim Horton’s (in domestic departure terminal, the international arrival branch closes at 11 PM) along with 711 in the domestic arrivals if you’re looking for late-night snack from your jet lag. The location at Vancouver International Airport means the entrance of Fairmont Vancouver Airport Hotel is only five minutes to YVR Canada Line Station bringing you to Richmond or downtown Vancouver. (Do note, if you’re using the Canada Line to get to downtown Vancouver, the last train to YVR departs at 1:05 AM) Parking is available for an additional $28.50 per night. Don’t be looking at this hotel if you’re looking for the best value; prices for the Fairmont Vancouver Airport Hotel typically ranges around $300-$400 CAD depending on the season. A park and fly option for 8 days or 15 days is available which works out to about an additional $20/day parking charge on top of your room rate and a $15/day parking charge on top of your room rate respectively. This means your room rate is $519 CAD (before tax) for a 15 days Park N Fly or $474 CAD (before tax) for a 8 days Park N Fly during April 2018 period searched. Luxurious room at Fairmont Vancouver airport hotel. Backdrop of snowy mountains and planes. The Fairmont Vancouver airport hotel is conveniently in YVR. Fairmont Vancouver airport hotel features exquisite dining at the award winning Globe @ YVR restaurant. Perhaps take a relaxing tea break? We’ve listed River Rock Casino Resort hotel #2 as the best Vancouver airport hotel because of it’s convenience, location and amenities. This Richmond, British Columbia hotel does not offer complementary airport shuttles however they are located right on the Canada Line at Bridgeport station (the split track to Richmond downtown or YVR) which makes it easy access from Vancouver International Airport. However, if you’re looking to catch an early flight (many international flights at YVR depart around 3-4 AM) or arriving on a late flight, do note that the Canada Line stops operating at 1 AM from YVR; you can still take a cab which is about $20. 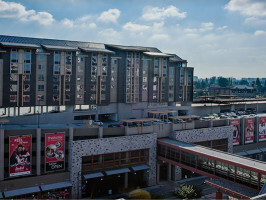 In terms of hotel amenities, the River Rock Casino hotel is joined to the River Rock casino… just walk over the indoor connector to the next building. The casino is opened 24 hours and features a bar along with some fast-food style eateries within the casino. There’s a cafe outside the casino that opens till about 7 Pm. As with most casinos, there’s also an excellent international buffet at casino (about $30 for dinner). Other amenities includes a resort-like pool and spa. Prices at the River Rock hotel near Vancouver airport are around $150-$250 depending on the season. You can typically score a Priceline Express deals (look for 4 stars) for an extra 25% discount. Quite good value relative to your options for Vancouver airport hotels on the Canada Line. Score yourself a good deal on Priceline for “the hotel” at River Rock Casino Resort (four-star property with 8+ Rating and Casino – the only hotel with a Casino amenity on Priceline Express in Richmond, BC). The rooms at River Rock YVR hotel. Right across the RiverRock Casino Resort. 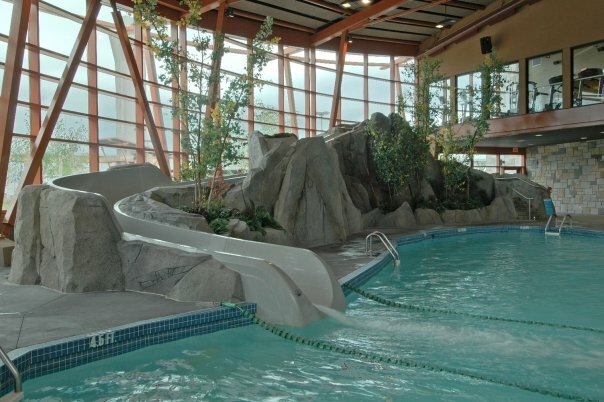 Resort style pool and full fitness facilities at the RiverRock YVR hotel. “the hotel” at RiverRock Casino Resort is just 5 minutes by SkyTrain from YVR airport and under 20 minutes to downtown Vancouver by SkyTrain. SkyTrain station right outside the hotel. This Vancouver airport hotel is a local favourite. They are known for value, clean rooms, and local service. It’s not a large franchise chain but it is very reputable locally if you’re looking for a great value on a clean hotel in Vancouver, Burnaby, Kelowna, or Victoria. Accent Inn is the BEST Vancouver airport hotel if you’re looking for value. This Vancouver airport hotel is a no-frills hotel with clean rooms and good pricing. Ask any local to recommend you a Vancouver Airport hotel, and most would probably name Accent Inn. It’s a local British Columbia hotel brand that emphasizes on family-friendly, pet-friendly, value-driven, local-service hotel. If you want friendly, local service then Accent Inn Vancouver Airport Hotel is where you would find it. The service has never disappointed so far. The rooms are clean and they have a nice coffee machine in the lobby that’s free for guests. (Unfortunately, it’s instant coffee machine and not the fresh brew type) The rooms are recently renovated. Amenities at Accent Inn Vancouver Airport Hotel isn’t exceptional but it’s fitted with a fitness room along with a hot tub. They have a 24 hour airport shuttle to YVR which can also be requested for a drop-off at Bridgeport Canada Line Station. (As mentioned, the Canada Line Bridgeport Station provides predicable access to downtown Richmond in 5 minutes or downtown Vancouver in 15 minutes. SkyTrain intervals operated every 3 to 12 minutes depending on peak or non-peak periods.) In the event that the shuttle is full or excessively late, you can usually take a cab and have the bill reimbursed by Accent Inns. The location isn’t too great however as it isn’t near any major transport or shopping hubs. It’s convenient to the highway and you’ll find quite a few truckers stopping by on their drive. There’s also an iHops right by the hotel (which isn’t anything to write home about). Thankfully right across, about a 5 minutes walk, is Fogg n Sudds from Holiday Inn Vancouver Airport Hotel which has a good bar, breakfast buffet ($7 for continental breakfast, and $13 for full breakfast buffet) and lunch menu. Your Accent Inn room card gives you 10% discount at both these dining options. The hotel is quite a distance from YVR (5.2 KM to Vancouver International Airport) although they operate bi-hourly shuttle services to and from the airport. The shuttle is frequently off schedule however so you’ll end up waiting still. These shuttles run 24 hours (some hotels only run shuttles to 1 AM so ask about the shuttle service before booking elsewhere). As Accent Inn Vancouver Airport hotel is located near a major highway, there may be some traffic noises for the front facing rooms; the rooms are generally well insulated for noise but if you’re sensitive to noise, request for a back-facing room and the friendly, local front desk staff would be happy to accommodate if they can. What you’d really like about Accent Inn Vancouver Airport Hotel however is the clean (recently renovated) rooms, good service, and even better pricing. Definitely one of the best Vancouver airport hotel for value and consistent service/cleanliness. Parking is free as well. Prices at Accent Inn Vancouver Airport Hotel are much simpler than most other hotels that have varying rate base on demand; Accent Inn Vancouver Airport Hotel rooms usually average $119/night during the off-peak season (March) and even just $169/night during the peak season (July). This is much better than the usual $250/night for a three-star Vancouver Airport hotel during summer. Vancouver hotel prices can get fairly astronomical during peak periods where the average room rate is easily mid $300+ even at budget hotels. It’s noticeable that Accent Inn Vancouver Airport endeavours to keep their prices simple, valuable, and competitive without much fluctuations even during peak periods. (presuming an advance booking) Keeping a loyal customer base and rewarding them with great prices. If you need a clean and consistent Vancouver airport hotel without the bells and whistles but good value then Accent Inn Vancouver Airport Hotel should be your pick; it is a good fit for families, budget travelers, and business travelers on a budget. The Holiday Inn Vancouver airport hotel (not Express) is located right across the Accent Inn. It’s gotten a 4 star review on Trip Advisor. We’ve listed it much like Accent Inn. It’s a good value Vancouver airport hotel. Score yourself a nice deal on Priceline and this hotel comes to about $63 CAD/night ($79 CAD after taxes and fees). Once again, it’s not in the best location but the rooms are clean, the service is good, and the price is right. Hotel amenities includes a laundry room, fitness room, as well as a restaurant – Fogg n Sudds. The restaurant serves a breakfast buffet each morning which is $7 for continental with free flow coffee or $13 for eggs, sausage, hash buffet with continental and coffee (quite a good spread). One thing I didn’t quite like about the Holiday Inn Vancouver airport hotel (and why it’s #4 instead of #3) is the house keeping took some of my duty free for a stay over (The term used by hotels when a guest stays for more than one night and housekeeping is not required.) on a three day booking when I came back from an international flight (was out of town of 1 month) and was heading to the United States. The hotel also has an interesting vibe …in a wrong way, maybe it was those cellphone receptors on the building. The Hilton Vancouver Airport Hotel was the first Vancouver airport hotel I stayed almost 7 years back when FIRST arriving in Vancouver. It offers airport shuttle service, a pool, restaurant, and centrally located in Richmond, British Columbia; Hilton Vancouver Airport Hotel is right in the heart of Richmond. 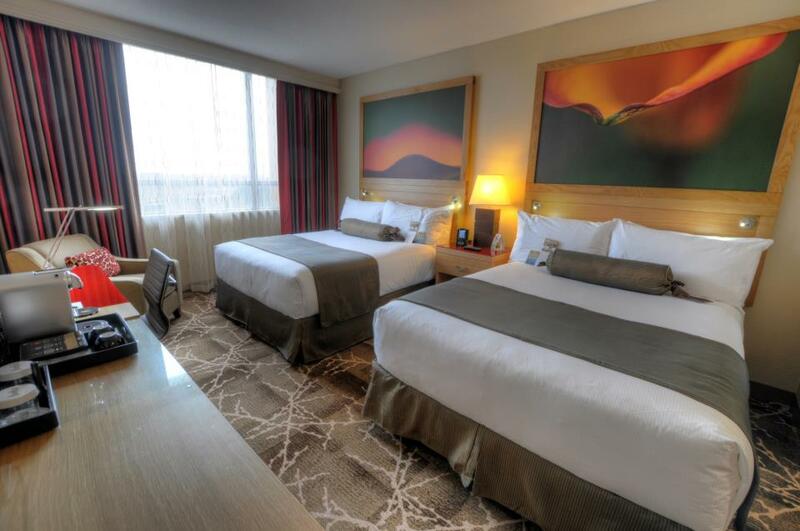 This pet-friendly Vancouver Airport hotel in Richmond, BC is easily and rightfully one of the best Vancouver airport hotel with a great location, Hilton service, amenities, and clean room – perfect for business, family, or leisure travels. You can expect consistent Hilton service and clean rooms. The rooms are modern and refreshed. It’s an older Vancouver airport hotel but well maintained. Amenities at Hilton Vancouver Airport Hotel include a consistent airport shuttle (shared with Sheraton Vancouver Airport Hotel and the Vancouver Airport Marriott on the adjacent properties), a business centre, fitness room, hot tub, heated pool, concierge, and an on-site restaurant – CAVU. We like Hilton Vancouver airport hotel for it’s location. It’s a good place to stay and walk about Richmond. 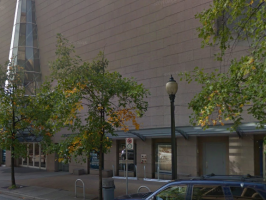 You’re only 5 minutes to the Richmond Center shopping mall (a big shopping mall in Richmond/Vancouver with H&M, food court, Hudson Bay, GAP, and so forth). There’s also no shortage of food options around the area. Arguably one of the best locations for a hotel in Richmond, BC, the Hilton Vancouver Airport Hotel is nestled in the middle of Richmond with walking distance to major shopping centres, the waterfront trails, the Canada Line station, and a plethora (over used word) of dining or entertainment options. It’s far away enough from the busy Number 3 Road and the noise of the Canada Line SkyTrain but close enough to the convenience of these major transport options. The Hilton Vancouver Airport Hotel is also minutes from the tranquil nature trials along the Fraser River (great spot to catch a look at Vancouver Airport, the sunset, and Vancouver). It is also near the Richmond Olympic Oval building which is a developing neighborhood along River Road; in case you happen to want to do some real estate shopping. If you’re looking for a clean and comfortable hotel near YVR I’d personally choose Accent Inn YVR. The Accent Inn brand is a local BC hotel chain with locations in Victoria, Burnaby, Richmond, and Kelowna. It’s locally owned and very well managed. They strive to provide local expertise and great services. Park and fly is offered at most of these hotels as well; a great option for out of town guests looking to save on parking. 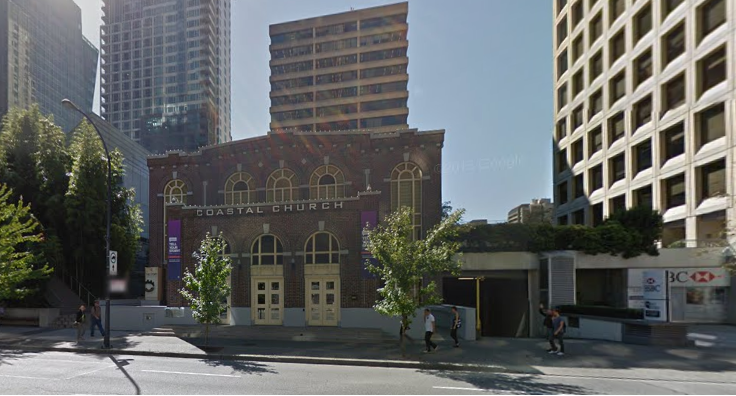 We hope you find it valuable regardless of what type of YVR hotel you were looking for. Please leave your comments, feedback, or suggestions bellow. – Sandman Vancouver Airport hotel: Sandman Vancouver Airport hotel is a bit worn but it’s good for a rest up before or after a flight. It runs 24 hour shuttles and it has good service. Find it on Priceline Express for 40% cheaper. – La Quinta Inn YVR: La Quinta Inn is the perfect hotel for a family. It has clean rooms, free breakfast buffet, and VERY reasonably priced. Typically you’ll be looking at $80-$120/night and on Priceline Express deals you get an extra 20-25% off. You’re also located RIGHT in Richmond near the Lansdowne Mall and on the Alexander street lined with restaurants. Do note that the rooms at La Quinta Inn are older. Most Vancouver Airport Hotels offer complementary airport shuttles. Here’s a full list of Vancouver airport hotels that provide complementary shuttle to Vancouver Airport. No Shuttle: Fairmont Vancouver Airport Hotel (0 KM) – Located right at the Vancouver International Airport, access within the airport from the Trans-Border check-in counters. 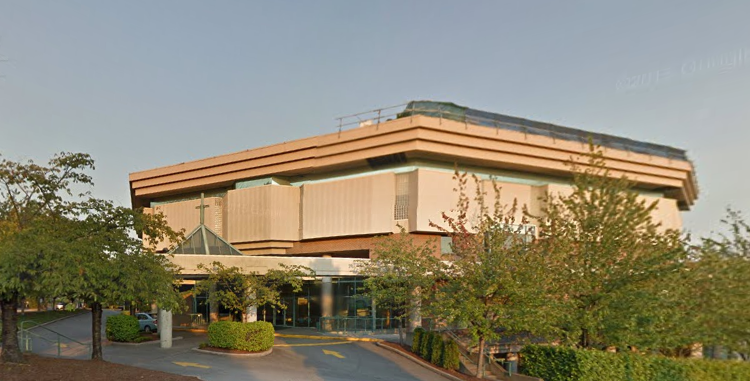 No Shuttle: River Rock Casino Resort (3.6 KM) – Located right at Bridgeport Station on the Canada Line. The hotel has a connected entrance from the Canada Line station. It takes about five minutes by train from the airport to the hotel. Translink charges a $5 surcharge on top of the one-zone fare of $2.75 for YVR Canada Line station (we love taking your money ;)). The Westin Wall Centre, Vancouver Airport (3.2 KM) – The Westin Vancouver Airport is just slightly outside Vancouver International Airport after exiting by Bridgeport Road. They provide airport shuttle service from 4:30 AM to 12:30 AM, every 30 minutes. Executive Hotel Vancouver Airport (3.5 KM) – Executive Hotel Vancouver Airport is a large Vancouver airport hotel with apartment suites available. It’s a little worn. The shuttle service is timely every 30 minutes but not operating 24 hours. The Vancouver airport shuttle operates from 5 AM to 11 PM daily. Ramada Limited Vancouver Airport (3.5 KM) – Ramada Limited Vancouver Airport is a small hotel located beside Quality Hotel Vancouver Airport. They operate their own shuttle every 30 minutes on the hour and half an hour. The shuttle only runs daily from 6 AM to 11 PM. Days Inn Vancouver Airport (3.6 KM) – Shuttle service is available when calling from the courtesy phone at Vancouver Airport shuttle waiting zone. Their complementary shuttle service only runs till 12:30 AM (departing YVR). The shuttle service commences at 4:30 AM. This is not the ideal Vancouver airport hotel base on guest reviews; a nearby hotel is the Hampton Inn by Hilton Vancouver Airport which is similar in price for a better Vancouver airport hotel. Hampton Inn by Hilton Vancouver Airport (3.6 KM) – Shuttle service is available at the Hampton Inn by Hilton Vancouver Airport however the earliest shuttle starts at 4 AM. It runs very half and hour. The Hampton Inn is a smaller hotel right outside the bridge to Vancouver International Airport on Bridgeport Road. The shuttle service ends at 11 PM. Four Points by Sheraton Vancouver Airport (3.8 KM) – Shuttle service at Four Points by Sheraton is shared with Westin Wall Centre, Vancouver Airport. They run every 30 minutes till 12:30 AM. The airport shuttle starts at 3:45 AM from the hotel. The shuttle has been noted to skip passengers at terminal if needing to catch back on schedule for trips from the hotel to the airport. Four Points by Sheraton Vancouver Airport does not reimburse taxi fare. Shuttle service may request tips. Require to call Four Points by Sheraton to arrange pick-ups from the airport. You’re better off booking at Hilton Vancouver Airport Hotel IMHO. La Quinta Inn Vancouver Airport (4.1 KM) – Complementary shuttle services is available upon request when you arrive in Vancouver; call La Quinta Inn Vancouver Airport to book a shuttle to the hotel or YVR. Their shuttle service ends at 9 PM however and does not start until 9 AM. Hilton Vancouver Airport Hotel: Great value for park, sleep, and fly as a Vancouver airport hotel. Secure parking lot. Accent Inn Vancouver Airport Hotel: Good value for Vancouver airport hotels and park, sleep, and fly. Friendly service. Sandman Vancouver Airport Hotel: Large parking lot at Sandman Signature. Good value for park, sleep and fly options. Hampton Inn by Hilton Vancouver Airport Hotel: Great value for park, sleep, and fly options. Fairmont Vancouver Airport Hotel: Pricier parking but it is right by the airport. Pacific Gateway Hotel: Pricier Park, Stay, N Fly option. The four star Vancouver airport hotel is one of the closest hotels to Vancouver International Airport and offers shuttles every 20 minutes. The four star hotel is a good choice for many travelers but average nightly rates are $300 CAD per night off-peak season. (Searching for March 22, 2018, it is $279 CAD regular $227 CAD for BC residents and $297 for a 8 day Park, Stay, N Fly, $300 for a 15 day Park, Stay, N Fly, $304 for a 22 day Park, Stay, N Fly rounded up to the nearest dollar. While the room rates are higher, the Park, Stay, N Fly option is only $21 more for a 15 day parking or $25 for a 22 day parking. Additional parking days after 22 days is $5 extra per day.) These are similar rates to the Fairmont Vancouver Airport Hotel right at the airport. Presumably, if you’re choosing a Park, Stay, N Fly option you are looking for parking relatively close to the Park N Fly prices (ranging from $15/day to $50/day depending on the parking lot you choose). Holiday Inn Express Vancouver Airport: Park, Stay, N Fly options available. Other Park, Stay, N Fly options are not as great. Quite often there are vehicle break ins with Park, Stay, N Fly options so remember to remove any valuables from sight. Certain hotels have better safety features than others like Hilton Vancouver Airport Hotel (parking in a lot) and Accent Inn Vancouver Airport Hotel (security roaming the parking lot at night – also to verify permits). We want this resource to be as useful as possible to those looking for a Vancouver airport hotel. As a relatively frequent traveler, I know it can be hard to book a hotel without knowing much about a hotel’s neighborhood, quirks, or intricacies. Booking a franchise hotel certain helps standardize the quality but when it comes to convenience of location and differences between hotel, it can help to know a little about the neighborhood in making your decision of which Vancouver airport hotel to choose. To help make your decision of choosing a Vancouver airport hotel, we’ve taken the time (many hours) trying to catalog and summarize everything you may need to know about each Vancouver airport hotel or hotel in Richmond, BC. (There are only 23 Vancouver airport hotels in Richmond, BC area.) We hope this information will help you make a better decision and more informed choice; the lack of perfect information is the source of many inefficiencies. Note: While many Vancouver airport hotel have already been mentioned in the earlier segment about Vancouver airport hotel shuttle service, we’ll attempt to put a greater emphasis on the locality and amenities of these Vancouver airport hotels and the suitability for your travel needs. There will be some redundancy/repetitions with the hotel descriptor however so please feel free to bypass this segment and skip to information about Vancouver unless you may be booking at one of these Vancouver airport hotels mentioned bellow. The hotels will not be listed by distance from the airport as the Vancouver airport hotel shuttle was done above but by preference and guest ratings. Quality Hotel Vancouver Airport: Located in downtown Richmond, British Columbia, this Vancouver airport hotel offers complementary airport shuttle, complementary breakfast, along with recently renovated rooms. Room prices are usually around $125/night for off-season and $200/night for peak-season. It’s quite an acceptable no-frills accommodation choice in Richmond, BC for its location in the heart of Richmond and value. Guests have noted that rooms and service will vary; they have a few inconsistent rooms (some rooms are smaller, some rooms are corner with nice windows). The location is similar to Executive Hotel Vancouver Airport, Sheraton Vancouver Airport Hotel, Vancouver Airport Marriott Hotel, and Hilton Vancouver Airport Hotel. It is relatively near to No 3. Road and walking distance to Richmond Centre mall as well as the Canada Line Brighouse Station. Click here to book Quality Hotel Vancouver Airport special rate. Click here to book Vancouver Airport Marriott Hotel special rate. Pacific Gateway Hotel at Vancouver Airport is one of the closest hotels to Vancouver International Airport domestic and international terminals. (and the south terminal) It is located before the Sea Island Way bridge that connects you to the rest of Richmond, BC. There is nothing much going on around the area as it is pretty much just the airport industrial area however Pacific Gateway Hotel is located besides the Fraser River towards Richmond with a waterfront restaurant called Pier 73. (Currently closed for renovations till Spring 2018 but a lobby restaurant + bar is available at Pacific Gateway Hotel.) Their shuttle service runs every 20 minutes and takes no more than five minutes to the airport without traffic. (There is occasionally congestion on the road towards the terminal – Grant McConanchie Way) Average rates are about $300/night for off-peak and $230/night for off-peak BC/Washington/Yukon resident rates. It isn’t very convenient staying here if you don’t have a car and intend on visiting Richmond as it is not near any Canada Line SkyTrain stations; the airport shuttle takes you to YVR however every departure from YVR on the Canada Line is an added $5 surcharge per person. If you’re a group of four, you’re better taking a $20 cab ride. There is a less frequent shuttle to MacArthur Outlet Mall where you can take the Canada Line but that operates periodically not regularly throughout the day. The location is not walk-able to Richmond, BC. Click here to book Pacific Gateway Hotel at Vancouver Airport special rate. The Westin Wall Centre, Vancouver Airport is just outside Sea Island Way bridge on a newly developed plot of land. The Westin Wall Centre is actually a hotel that’s part of the Wall Centre apartments. (Residents of the apartment are also able to use the hotel amenities like fitness centre and swimming pool. Thought it may be worth a mention.) It is a four-star hotel within proximity to downtown Richmond. The area is a good 10 minutes walk from any actual food or shopping; there is however a hotel restaurant called Apron @ YVR. The shuttle is not 24 hours but operates from 4 AM to 12 AM daily; it is shared with Four Points by Sheraton however. It may not be your ideal choice for a Vancouver airport hotel due to its price, location, and amenities. You may be better off choosing a Vancouver airport hotel with 24 hour shuttle service in a better location such as the Hilton Vancouver Airport Hotel. For the same price category you can book a room at Hilton Vancouver Airport Hotel or the Pacific Gateway Hotel at Vancouver Airport (with 24 hour shuttle service) if you’re looking for something closer to the Westin Wall Centre hotel. If you’re looking for another SPG property, then the Four Points by Sheraton would be about 30% cheaper. Click here to book The Westin Wall Centre, Vancouver Airport special rate. Click here to book Radisson Hotel Vancouver Airport special rate. The Hampton Inn by Hilton Vancouver Airport is another excellent option for those looking to book a Vancouver airport hotel. The Hampton Inn is notably an older hotel in a more industrial location. There is however a small strip-mall located nearby where you can find Burger King for some quick eats along with a bubble tea shop (they are everywhere in Richmond being predominantly Asian population) along with a Chinese-themed supermarket (which has its own dining section with roast meats and take-out if you’re looking for something different – there was a incident at this supermarket a while ago where people got sick from food poisoning). It is a very basic property with no restaurant on-site but has a fitness centre (no pool). It is a good choice if you’re arriving for a cruise as they provided shuttle service to the cruise terminal. Expect your typical Hilton service (slightly lower at this property) along with free breakfast, and a 24 hour shuttle service. Room rates are $175 CAD/night on average during off-peak season that includes breakfast and parking. They also offer Park, Stay, N Fly option. Click here to book Hampton Inn by Hilton Vancouver Airport special rate. Click here to book Sheraton Vancouver Airport Hotel special rate. Days Inn – Vancouver Airport is a Wyndham hotel. (generally less consistent or preferable to Hilton, SPG, or Marriott hotels) The hotel is notably dated. The hotel is located right besides the Hampton Inn by Hilton Vancouver Airport which means it is mostly an industrial area. It is about a 10 minutes walk to Bridgeport Station for the Canada Line. It also includes a free breakfast, parking, and an airport shuttle service (not 24 hours – 4:30 AM to 12 AM). The rooms rates are around $125 CAD/night during off-peak season. Don’t expect Hilton customer service, rooms are a little dated but new furniture in some. Click here to book Days Inn – Vancouver Airport special rate. It is a budget airport hotel near to Richmond downtown. The Ramada Limited Vancouver Airport hotel is located right besides Quality Hotel Airport South hotel. They provide complementary breakfast and shuttle service. Rooms are slightly run down and rates are around $112 CAD/night during the off-peak season. Click here to book Ramada Limited Vancouver Airport special rate. Click here to book Travelodge Hotel Vancouver Airport special rate. A standard Vancouver airport hotel right opposite the Quality Hotel Vancouver Airport South and Ramada Limited Vancouver Airport. The shuttle service runs from 5 AM to 11 PM daily. The furnishing is old and the hotel looks tired as noted by some. (Numerous negative feedback such as mentions of caked in dust, leaky sprinkler, and old furniture. This review isn’t too flattering as well and neither is this review all within the first 15 recent guest reviews.) The hotel is older and less maintained than the Sheraton Vancouver Airport Hotel, Hilton Vancouver Airport Hotel, or the Vancouver Airport Marriott Hotel just a block away. The room rates are around $100 CAD/night during the off-peak season. Reasonably good rate for Vancouver airport hotels but certainly not the first choice with the options available around the area. The main concern would perhaps be the limited shuttle hours and older rooms. They have one, two, and three bedroom suites available for family gatherings/vacations along with meeting facilities. The hotel is not as popular, grand or hip as their website make it sound, however. The hotel property hosts the Celli’s Modern Irish Pub which makes dining convenient but also poses as a noise disturbance to guests near the pub. Click here to book Executive Hotel Vancouver Airport special rate. Click here to book Four Points by Sheraton Vancouver Airport special rate. For most, the Holiday Inn Express Vancouver Airport is a good Vancouver airport hotel. It is not for the tourist nor those looking to make their Vancouver airport hotel a base for travels across Vancouver because the location is fairly remote as is the Holiday Inn Vancouver Airport. It is however suitable for transiting passengers looking for simple rest along with Park, Stay, N Fly options. You will find recently renovated rooms, friendly service, and complementary breakfast. The walls are a little light allowing in sounds from the Costco opposite the hotel however there is the option of the back facing rooms. Prices are about $150 CAD/night during the off-peak season. In summary, it is a good Vancouver airport hotel for most guests who want a clean room, comfortable bed, and airport shuttle (24 hours). The location is a bit far from the Canada Line but still a 15 minutes walk. Newly renovated rooms make for a refresh experience. Click here to book Holiday Inn Express Vancouver Airport special rate. A very cheap Vancouver airport hotel that is a little out of the way. Located on SW Marine Drive which is actually Vancouver instead of Richmond, the hotel is about 10 minutes drive from the airport. The rates are cheap at $100 CAD/night during the off-peak season but the rooms are older. There isn’t really much going on in the area and you are very far away from the Canada Line station which would presumably be your main source of transportation to downtown Vancouver and varying tourist attractions. Click here to book Coast Vancouver Airport special rate. Once a great property, now past its prime. The Sandman Signature Vancouver Airport Hotel & Resort is the larger property Sandman has in Richmond, BC (which was formally a Ramada property – bought over, renovated, and added with a few towers, pools, slide, fitness centre, and tennis court to make a resort. Speaking of hotel acquisitions… Fun fact, the Executive brand formally had the Executive Inn Express Richmond which is now Richmond Lions Manor – you’re not missing out on much as that hotel had horrible guest feedback.) So back to Sandman Signature, the property is very large with four dining options, Denny’s (24 hr diner serving breakfast fare, fast food burgers, and diner food), Chop Steakhouse & Bar (steakhouse and bar food/snacks), Shark Club (a lounge & bar serving pizzas, wings, and the likes. ), along with a Jugo Juice (wraps, quick eats, smoothies, juice) in the Steve Nash Fitness World. The Sandman Signature has a swimming pool with a slide, an outdoor pool with courtyard, an indoor tennis court, along with the Steve Nash Fitness World attached. Guests can get a free one-time pass to the Steve Nash Fitness world attached to the property. The Sandman Signature is right besides the Accent Inn Vancouver Airport. The property has much potential unfortunately it doesn’t appear that up keeps have been made with housekeeping, customer service, or maintenance leading to guest frustrations rightfully. The Sandman Signature has a large parking lot which isn’t ideal for Park, Stay, N Fly as some have reported break-ins. They share a 24 hour shuttle service with their sister property just down the road at Sandman Vancouver Airport hotel. The rooms depend on whether you’re getting the Provincial Suites (ground floor) or one of the three towers. One tower is mostly used exclusively by flight crews (with a flight crew lounge). Average nightly rate for off-peak season is $125 CAD/night which is actually quite a deal. (Usually it would be $299 CAD/night but presumably the lack of up-keep and negative reviews have affected their room rate as well.) It is quite a good Vancouver airport hotel and the staff are generally friendly. It should be considered on your list of Vancouver airport hotels to choose if the price is right because it is a Vancouver airport hotel with quite a few amenities to your liking. Worth taking a chance for the right price; kids and families would especially enjoy the water slide and pool while dads will enjoy the convenient dining options with Denny’s for an easy family breakfast. Click here to book Sandman Signature Vancouver Airport special rate. Holiday Inn Express & Suites Riverport Richmond Hotel: A long ways away from Richmond downtown and Vancouver International Airport, the Holiday Inn Express & Suites Riverport Richmond Hotel is located on the Southeastern corner of Richmond, BC. The hotel does provide 24 hr shuttle service to YVR but it takes approximately 20 minutes to get to the airport from Riverport. Besides its distance from YVR, the Holiday Inn Express & Suites RiverPort Richmond Hotel is actually outstanding on merits of customer service, and management. Room rates are about $165 CAD and includes breakfast. Around the neighborhood you’ll find a few restaurants such as the Old Spaghetti Factory, ice skating ring, laser tag complex, and a Cineplex movie theatre. It seems suitable for families stopping over in Vancouver, however the location isn’t great if you’re looking to explore Vancouver, BC as it would add an additional 10 minutes drive each way compared to any other Vancouver airport hotels. Click here to book Holiday Inn Express & Suites Riverport Richmond Hotel special rate. Lastly, if you’re still hanging on with us on this article…we wanted to share some information that may be helpful for those coming to Vancouver for the first time. Information about Vancouver International Airports such as the baggage claim, transport, and food (very important haha) along with information about Vancouver, British Columbia such as our geography, weather, greater Vancouver area, and currency. We’ll also share a little bit about customs/culture but Vancouver culture/customs isn’t much different from any other American/Canadian city. If Vancouver is your first point of entry to Canada, you do have to go through immigration and customs regardless if you’re travelling on wards. Once you leave the plane, you can only go out through immigration and baggage claim before you re-enter through security. Vancouver International Airport has a Trans-Border terminal to one end, the international terminal in the middle, and the domestic terminal to the other end. It’s connected so you do not need to transfer terminals per say, just walk across the indoor space. Vancouver’s International Airport is actually in Richmond, BC not Vancouver, BC. The population of Vancouver is approximately 630,000 with 2.3 million people in the greater Vancouver area. Vancouver is a very internationally diverse city that’s liberal leaning in ideology by majority. Vancouver is a coastal city; our weather is moderated by the body of water meaning generally milder winters and summer. Since, Vancouver has mountainous range, we do get a lot of rain on the left side of the mountain which is basically Metro Vancouver region…on the interior BC such as Okanagan, certain regions are deserts. We’re one of the few cities where you can have a BBQ by the beach then head skiing on Mount Seymour or Cypress Mountain in the same day. When you’re arriving to Vancouver from Vancouver International Airport (YVR), you’ll actually be arriving in Richmond, British Columbia. The Metro Vancouver area is comprised of several municipalities with Vancouver as its hub. Vancouver is neighbored by Richmond to the south and Burnaby to the East, followed by New Westminster, Port Moody, and Coquitlam respectively. 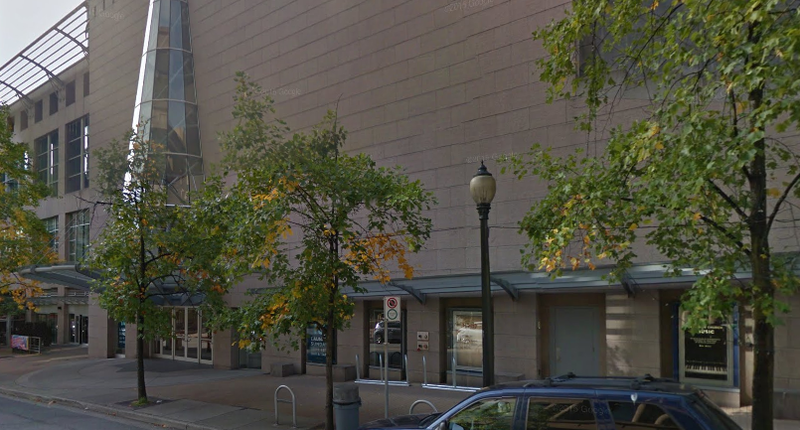 With this said, downtown Richmond is no more than 20 minutes from downtown Vancouver by the Canada Line SkyTrain. Likewise, the heart of Burnaby at Metrotown is no more than 30 minutes from downtown Vancouver by the Expo Line Skytrain which travels at 45 KM/hour on average. This means several things, Vancouver is not very far from Richmond or Burnaby and can be considered as one city though governed by separate municipalities. (Even the upcoming 2018 Vancouver election allows voters outside of Vancouver so long as residing in BC..that emphasizes the importance of Vancouver and connectivity of the region). In Vancouver, the weather is probably the most common, popular, preferred, and contentious talking point for small talk among locals. You can’t go wrong talking about the weather – for good reason. In Vancouver, it rains 161 days per year! Yes, that means almost half the year it’s raining. Most of these rainy days are also congregated within the months of November to February as well where it may rain days on end. (Literally, it can rain for 7-14 days straight.) Vancouver is Canada’s 3rd rainiest city after all. If you’re visiting Vancouver during the season of fall (September-November) or winter (December-March) be sure to bring some warm weather, and expect some rainy days. However, if you’re coming during spring or summer, it’s mostly sunshine and great weather. Summer: Recently, Vancouver summers have been quite (unbearably) hot but usually the weather is moderated because Vancouver is a coastal city so the sea helps take some heat away in summer. Fall: Fall is beautiful as Vancouver does have many deciduous trees scattered across our coast so you can see wonderful colours of yellow, orange, and red. Winter: Vancouver winter is mild. We get plenty of rain. Translink is the South Coast British Columbia Transportation Authority; they are responsible for public transport, major roads, and bridges in metro Vancouver. 1) Tickets cost $2.85 per adult for one-zone. $4.10 for two-zones. $5.60 for three-zones. (Refer to Zone Maps here. Getting from Richmond – Vancouver Airport, to Vancouver – downtown Vancouver is considered two zones.) Your fare is valid for 90 minutes on SkyTrain, Bus, and Sea Bus. 3) If you plan on using public transport as your primary means of transportation, it would be recommendable to get yourself a day pass for $10 which can be purchased at any Compass Card Vending Machines or any retailers that sell Translink products (most grocery stores like Save on Foods, Shoppers Drug Mart, and Safeway along with convenience stores like 711 and independent convenience stores will sell them if you’re not near a Compass Vending Machine). If you register your Compass Card online, you can also purchase your day pass online. 4) The most convenient way to utilize Vancouver’s Public Transport is to purchase a refundable Compass Card for $6. (You can return your card for a refund of the deposit along with any value in your card at 590 Beatty Street, it is the Stadium-Chinatown SkyTrain station.) This will allow you to tap and use the stored value on your card; the Compass Card works on both buses and SkyTrains. It also makes the fares cheaper for you. With the Compass Card, you will pay $2.20 for one-zone, $3.25 for two-zone, and $4.30 for three-zones. 5) You do require a Compass card or Compass ticket to utilize the SkyTrain system (tap in and out on the access gate). Buses still do have functional coins payment method but they do not accept bills however the bus ticket is not transferable for use on SkyTrains meaning you have to pay again whereas the Compass tickets can be used on both buses and SkyTrains – remember you’re not paying per use but by zone with unlimited travel in 90 minutes. (Most often, if you do not have coins on hand, the driver will let you get to the nearest station.) You can pre-purchase Compass tickets at the Compass vending machines and tap them to activate only when you want to use it. (The value remain stored until you utilize the tickets.) Compass tickets are available only for one-time use and cannot be reloaded with new value. The easiest and most economical as mentioned however is the reusable Compass cards. Upcoming in summer of 2018, you will be able to tap your credit card on buses; once again it does not permit for transfers. In short, if you’re going to use the transit, do yourself a favour (note the our and not or – Canadian spelling :D) and get a Compass card at the YVR Compass vending machine by the Vancouver International Airport terminus station. As with most public transport, it takes 2 times longer to get to your destination, unless, you’re only using the SkyTrain system – which would be faster than driving. The easiest way to travel around metro Vancouver with public transport is through the Canada Line, Expo and Millennium Line “Sky Trains”. Millennium Line: This train takes you from VCC-Clark (Vancouver Career College) in Vancouver to Coquitlam, British Columbia by way of Burnaby. (I would highly recommend a visit to Coquitlam – the suburb of Vancouver as it is a quaint suburb city with magnificent outdoor opportunities. Perhaps take a look out after dinner at Westwood Plateau or taking a hike along the Coquitlam River. Check Rocky Point Park in Port Moody and try some Rocky Point Ice Cream.) It takes about 35 minutes from end to end through 17 stations. Expo Line: The oldest Sky Train system in Vancouver, it takes passengers from downtown Vancouver to Surrey. (A running joke among Vancouverites is never to fall asleep on the SkyTrain in Surrey. Take from that what you will. Just be careful if you’re visiting Surrey and avoid being outside at night.) The Expo Line also takes you to Production Way University Station and to Coquitlam. (Split track at Columbia between King George in Surrey or Production Way University. So if you’re on the Expo Line, be sure to known which destination your train is headed.) There are 24 stations on The Expo Line which takes 40 Minutes to King George Station in Surrey, or 40 Minutes to Lougheed Town Centre in Coquitlam. You may take this train if you’re trying to reach Coquitlam and transfer to the Evergreen Line extension on the Millennium Line at Lougheed. Sea Bus: Vancouver has a Sea Bus that operates from Vancouver Waterfront Station to Lonsdale Quay (Another popular tourist attraction as well; it has a nice market with a few unique food options there such as donuts. You can also then grab a taxi or transit to Lynn Valley Suspension Bridge which is a free alternative to the infamous Capilano Suspension Bridge – which has a free shuttle from downtown Vancouver but tickets are $43.) It takes about 15 minutes to make your way across the Burrard Inlet to North Vancouver and the ferry-bus leaves every 15 to 30 minutes. West Coast Express: The West Coast Express is a commuter train that uses the commercial rail way track. It is popular commuter train to get from Coquitlam to downtown Vancouver in 30 minutes. The train actually travels as far as Port Haney, BC and Mission City, BC. It may be an interesting experience for tourists who wish to visit Port Moody, Coquitlam, Pitt Meadows, or Mission because the train travels by Vancouver’s waterfront. The train goes Westwards to Vancouver during the morning and Eastwards to Coquitlam during the evenings. If you’re looking for an off-the-beaten path experience of Vancouver…you may consider taking the 3:50 PM train to Port Moody (24 minutes waterfront ride) and then the SkyTrain back to downtown Vancouver. In Port Moody, try Pajo’s Fish N Chips, Rocky Point Ice Cream, and take a walk along the four connected tidal parks. Finish off your visit with a walk to New Port Village for some coffee or Suter Brook Village for some fresh baked goods at Cobs Bread. Vancouver uses the Canadian Dollar. If you’re looking for the best Vancouver currency exchange, read the article linked. Vancouver Airport Currency Exchange: If you’re arriving at the airport, there are several money changer kiosks both before or after security by the same service provider, ICE Canada, but the rates are notoriously high with transaction fees. No competition. Vancouver Airport Royal Bank Kiosk: There is a Royal Bank kiosk at the airport but they do not provide currency exchange services. Most merchants (food, beverage, and service industries) in Vancouver will accept credit cards (Visa and Mastercard – there are few merchants with exclusive credit brand acceptance.) so you don’t really require Canadian dollar urgently unless you plan on eating in Richmond. (many Chinese restaurants, especially at the food courts will only accept cash.) Visa and Mastercard is so widely accepted in Vancouver, even the Translink buses will soon accept direct credit card payments on the buses. If you do require cash urgently, you can withdraw from most ATM networks but they will charge a $2-$5 service fee on top of your international transaction bank fee. Ideally, wait till you get to downtown Vancouver or Richmond to change your money. There’s a rather good money changer right at Vancouver City-Centre station (Canadian spelling again for centre, not center :D) called Charlie’s Money Changer (827 Granville Street) and another one being Vancouver Currency & Bullion Exchange (800 W. Pender Street, Unit #120). Both do not charge transaction fees and may offer rates similar or better to banks. Your hotel will likely be able to exchange small amount of currencies for you (especially if you’re arriving with US dollars) so you may wish to check-in directly to your Vancouver airport hotel even if you require Canadian currency urgently. One of the most important questions you may have is cellular service in Vancouver, BC. Vancouver has four major cellular network providers. (1) Telus (2) Bell (3) Rogers (4) Freedom Mobile – Shaw. Each four have different roaming agreements with various cellular networks globally. Most established cellular networks will have multiple roaming agreements with Vancouver wireless network providers so reception shouldn’t be a concern if you’re roaming. Roaming: If you have a roaming plan activated on your phone, you may wish to keep your current phone number. Make sure per usual to turn off data to avoid any billing surprises unless you do have a data roaming plan. Check if your cellular provider regarding your roaming charges. This is the ideal option if you’re not planning on making many phone calls because it saves the hassle of changing your sim card. Pre-paid Plan: If you’re in Vancouver for an extended period of say 14 days and will be talking frequently with friends/family in Vancouver or for work then consider getting a pre-paid sim card. You can also consider going to Aberdeen Mall, Richmond Centre, or Lansdown Mall in Richmond, BC (or downtown Vancouver) to purchase a pre-paid sim card directly at a Bell, Rogers, Telus, or Freedom Mobile kiosk. Doing an analysis on all four mobile carrier pre-paid plans would not be useful as they are often similar – Rogers’ does have slightly better customer service but that probably isn’t your concern. Generally, Pay as you Go Plans with the Big 3 carriers are billed monthly (so if you’re here for 14 days, you’re still paying 30 days); there are some great deals however that may be cheaper than Speak Out prepaid plans. If you’re looking for a simple activation using only for talk & text then use the 711 Speak Out pre-paid plan. If you do require data, then look into Bell, Rogers, Telus, or Freedom Mobile pre-paid plans. Honestly, as a local, I would recommend you avoid illegal Bed and Breakfast along with AirBnbs. It is a very contentious issue in Vancouver at the moment; there is also no way to guarantee what you would be getting if you choose to take this route. Some Bed and Breakfast (Bnbs) claim to be 2.7 KM from Vancouver Airport (that’s the same distance as Pacific Gateway Hotel) but there’s no homes anywhere near 3.5 KM from the airport. Further, many of these AirBnbs do this without city approval or taxes (business tax, GST, & DMF – Canada has a lot of taxes). In Vancouver where the vacancy rate is 0%, locals don’t take too kindly to tourists and business travelers booking illegal apartments that should otherwise be on the lease market. Most municipalities/cities/towns across the world do not permit rentals shorter than 30 days, some like Singapore set a minimum of three months. Basically, if you’re going to rent an AirBnb then know that most locals would not take too kindly to it. Tourism should not work against the city.